Maggie's interest in the international world began at the University of Vermont (UVM), where she focused on International Relations within the Political Science department. 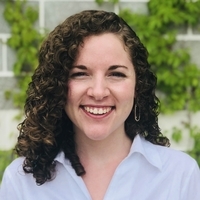 After graduating from UVM, Maggie started working as an admissions counselor in undergraduate admissions. Although she was always a domestic counselor, Maggie consistently recruited in cities (Boston, D.C., Houston) with a considerable amount of U.S. based international students and high schools. These interactions developed her strong interest in international education, and the role it plays in U.S. institutions. Additionally, she is currently enrolled in GW’s Elliott School of International Affairs, where she is studying Security Policy Studies. “Where are you from?” is Maggie's favorite and least favorite question -- she has lived in 7 states and has family in 10+ states/territories (Maggie's Mom is Puerto Rican and she has family living there). “Is Love really your last name?” is a close second in her favorite/least favorite questions category.